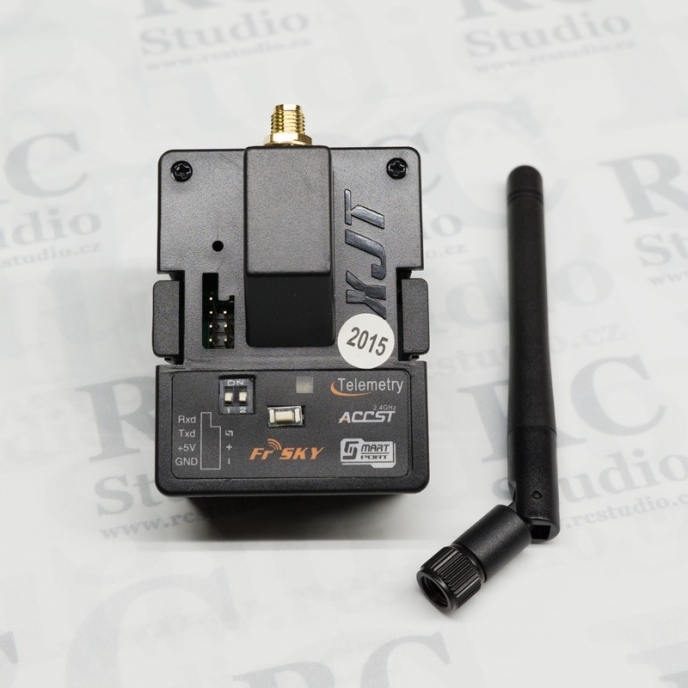 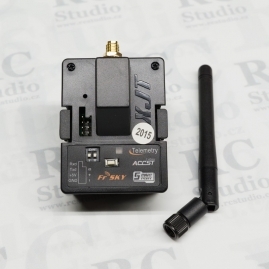 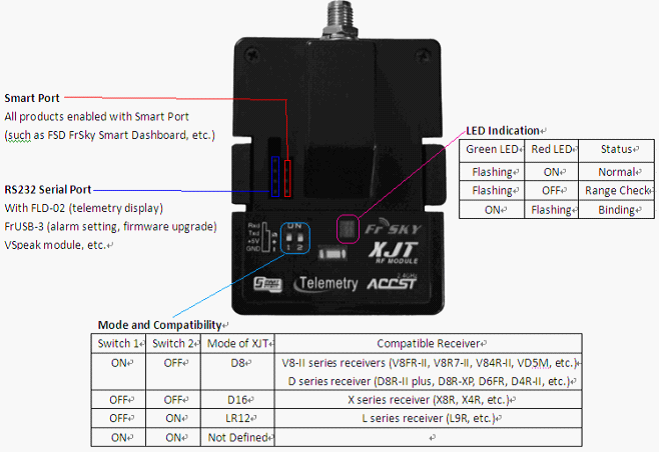 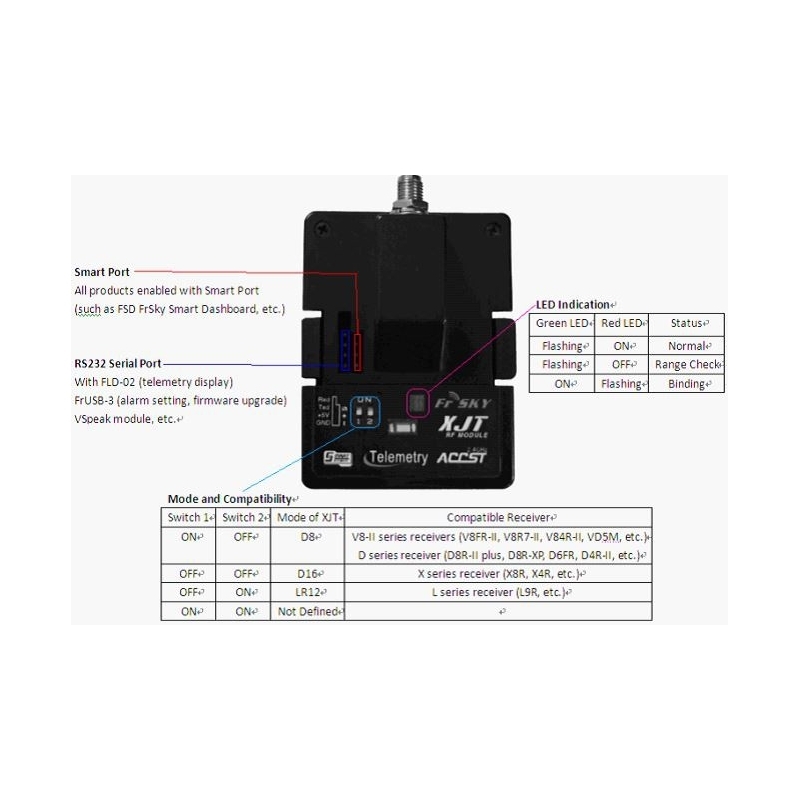 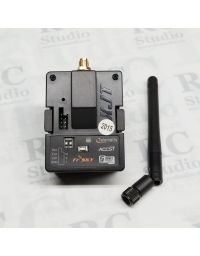 The XJT telemetry transmitter module is a great choice if your transmitter is compatible with the JR style modules. 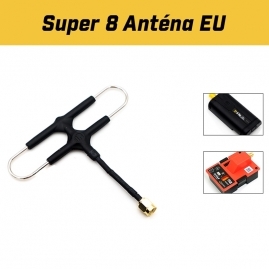 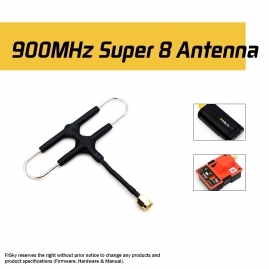 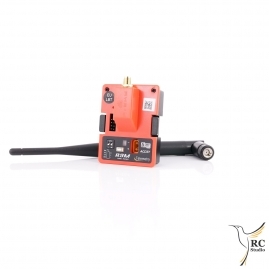 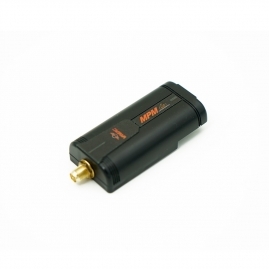 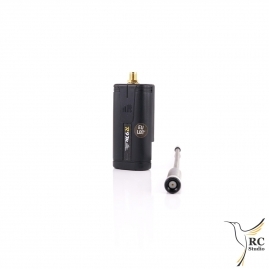 The module is compatible with both the V8, D, LR and X Series receivers from FrSky. 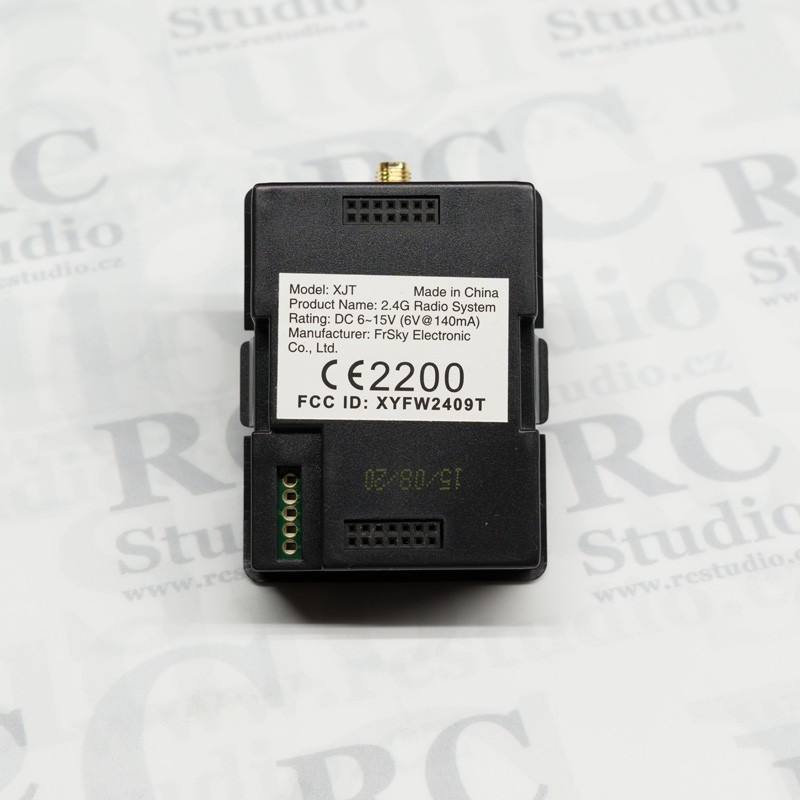 JR: 347, 388, 783, U8, PCM10, PCM10S, PCM10SX, PCM10IIS, 8103, J9303, MX-22, MX-24S, PX, 9XII, Eurgle 9X, Turnigy 9X, 9XR and more.